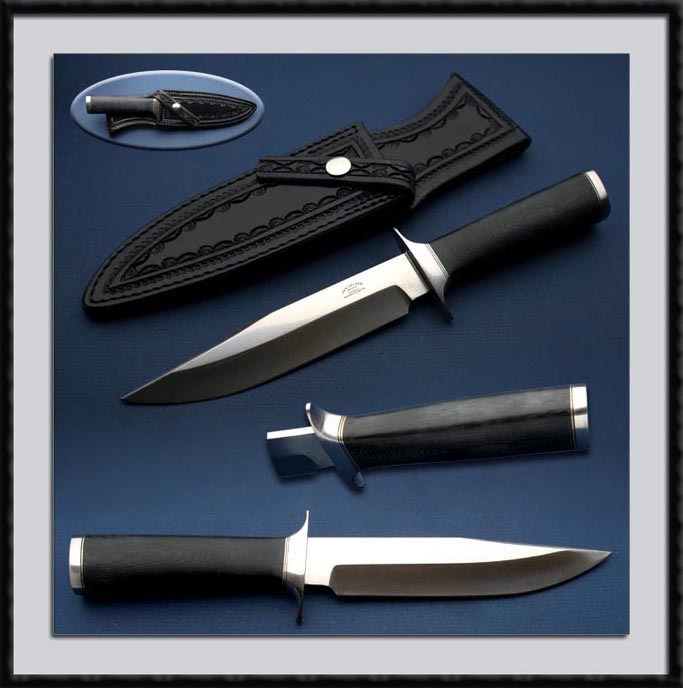 Bob Van Gelder's eye for detail is evident with this quality Tactical Fighter, BL = 6 7/8", OAL = 11 3/4 ", Blade is 3/16" High Performance 154CM Stainless Steel, heat treated by Paul Bos, unsharpened Top Clip, Hand Rubbed Satin finish blade on the flats, 416 SS Hilt and Pommel and Black Linen Micarta scales. Fit and Finish is as good as it gets. Comes with the Fancy Sheath pictured by Kenny Rowe.